My people, how can you be such stupid fools? God made our ears—can’t he hear? We continue our reflection on God’s ability and desire to remain in intimate relationship with us. We continue to ponder our willingness – or unwillingness – to allow God’s protection and guidance to guide us. I would soon have dwelt in the land of silence. your grace, Adonai, supported me. We continue to remember that God is the only secure place, the only sure refuge. We continue to remind ourselves that God turns harm into goodness, and that God turns plots back upon plotters. Today we spend time with Psalm 94 as we contemplate our reflection of God as a work of art, and why God’s loves us so dearly. This is such an intimate and beautiful song of praise. Why do we hide? Why do we think that God cannot see or hear us? Why do we fear? Why do we believe that God does not tend to us? We are God’s amazing, wonderful, beautiful works of art. Let us together praise God for the willingness to enter into intimacy with us. We reflect on varying versions of Ephesians 2:10. We are made in God’s image, made in love, to respond in love to all that confronts us. We are one in the Spirit with God’s fidelity sustaining us. We are one in God’s hope bolstering us. We are one in God’s love healing us. We are God’s work of art. Coalescing in a reflection of God’s diversity. Ebbing and flowing in the Spirit that abides and transforms. This is such an intimate and beautiful song of praise. Why do we hide? Why do we think that God cannot see or hear? We are wonderfully, amazingly and beautifully made in and by and through God. Let us do all that we can to come together in Christ. In this season of Lent, how willing are we to invite God into our most intimate thoughts? This beautiful song of invitation is a starting point when we struggle to open dialogs with the Lord. God is in every moment and in every time. This lovely song of bidding is an authentic call to God when we search for words that express our meaning. This divine hymn of opening is an honest cry to the Spirit when we hope to explore our relationship with the world. When we fear that we do not measure up to the beauty and perfection of God, we might turn to this psalm to bridge any feeling of self-consciousness. When we offer our anxiety to the Lord, we begin to better understand God’s thoughts . . . despite their challenge, and despite our fears. When we compare translations of this psalm, we find an opening to an honest dialog with the Almighty. Today’s verses are from THE MESSAGE. David wrote this psalm when the Philistines in Gath captured him. These verses, especially when we compare varying versions, have much to teach us about how to react to our fears. From THE MESSAGE version, verses 2 and 3. We may or may not live in circumstances that call for these words. If we do not, we count ourselves as blessed; but if fear does not govern our days and nights, we offer these words for those who gather in hiding places. they are always thinking up some way to hurt me! With New Testament thinking, we focus on the first line in this stanza as we pray for our enemies, knowing that their anger has locked them in a prison of hate. in anger, God, strike down the peoples. Stepping into the protective presence of the Lord, we rejoice with verses 9 to 11, knowing that nothing of this world is lasting, and no one in this world can destroy the soul. Remembering God’s goodness, we sing verses 12 and 13. We recall our promises to God, and we consider what we might return to God as a sign that we are willing to give our fear over to the One who knows our world best. On this second Sunday of Lent, we remember that this psalm came to us out of David’s anguish in Gath. We remember that God abides with David through this and other catastrophes. And we consider how we might rejoice as we allow God to transform all our fear into delight. Before we leave the story of Esther, we re-visit a Favorite from May 29, 2007. Today we consider the nature of our repentance as we move further into the season of Lent; and we commit to enacting the fidelity, hope, and love we profess. From the introduction in the New American Bible, “The book was intended as a consolation for Israel, a reminder that God’s providence continually watches over sincere repentance.” We have been hearing about sincerity versus insincerity in recent weeks. And again we see it today. Yesterday’s first reading is from Sirach 17:24: “But the Lord will allow those who repent to return to him. He always gives encouragement to those who are losing hope.” And yesterday’s morning Psalm was 130: “My soul is waiting for the Lord, I count on his word. . . Because with the Lord there is mercy and fullness of redemption, Israel indeed he will redeem from all its iniquity”. There is hope for all; yet, how do we show our gratitude for redemption? By being doers of the word and not hearers or sayers only. We show our sincerity before the Lord by not deluding ourselves. May we be hearers, sayers, and doers of the Word. May we persevere in our doing. And may we, like Esther, live up to our potential in order that we too may save nations. 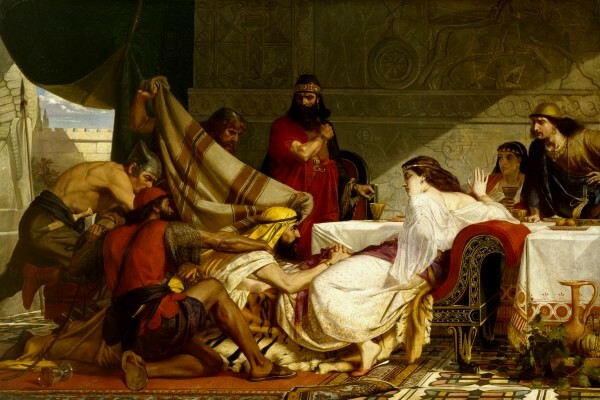 The book of Esther, with all of its additions and amendments, is a wonderful story. We must read it when we can. The survival of a minority is central to the story we have explored over the last two weeks; and the threats and schemes we see in Esther’s story speak to many among us today. The reality of vulnerability rises as power corrupts. Those who live in the shadows of affluence live without the security taken for granted by the privileged. We excuse discrimination. We nurse prejudices. Rather than find root causes for the demons that stalk us, we build protective walls around our comfort zone and describe “the other” as someone to fear. Esther tells us of the danger we invite when we nurture our contentment to overlook the powerful effects of envy. None of this is limited to ancient times. Indeed, too often we live this way today. When we re-read these verses and insert the names we see in our headlines, we bring this story into focus. Dislike for “the other” we do not know – or whom we do not understand – plants seeds of hatred. In contemporary society, a torrent of news loops waters nascent loathing, while social media filter bubbles create hothouses that spur growth of hatred. Those along the fringes of society find themselves far from any possible avenue of inclusion. If we hope to build the bridges God asks us to build, we must open ourselves to the fear of others to offer assurance. Only then will we find the tools to create unity. If we hope to inspire the compassion Christ asks us to nurture, we must ask gentle questions with patience and understanding. Only then will we find the courage to respond to God’s call. If we hope to build peace in a world longing for harmony, we must act in the Spirit to include, to heal, to love. Only then will we begin to erase the lines that create the margins on which too many live. Tomorrow, a final word from Esther as e move through our Lenten journey. When we compare other translations of these verses, we begin to find our way through the fog of hatred. 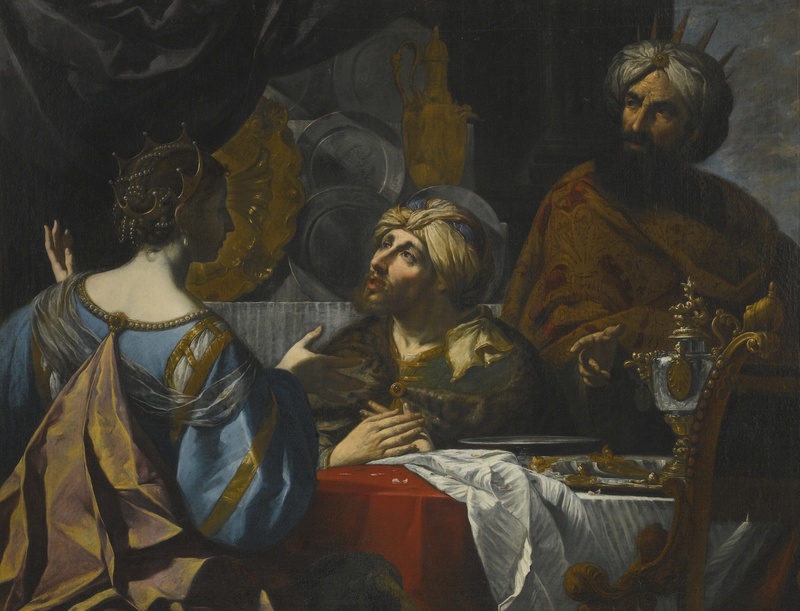 It is interesting that at the close of this story, we see Xerxes and Mordecai as heroes, while Esther – for whom the book is named – slips into the background. This is, of course, indicative of the ancient world in which society regarded women as possessions rather than full persons. We might then determine that the more important message is this: God loves the faithful so well and so endlessly, that salvation arrives in a time if crisis. In our contemporary era of unease, we hear this message gladly. This is good news for those who are beleaguered in physical, emotional and spiritual ways. This is redemption for those who work at transformation. This is deliverance for those who suffer. Living in exile, Esther keeps her Jewish heritage secret. As a woman with little influence in her own life, Esther moves quietly through Xerxes’ court, maintaining a low profile. Mordecai’s petition for her assistance pulls Esther out of anonymity and moves her into a life that requires courage, patience and wisdom; and we watch as she relies on God for these qualities. We have much to learn from this young woman who allowed herself to be led by the source that created and called her. When do we speak up? Why do we remain silent? We have much to explore in her story of quiet obedience and patient trust. When do we question? Why do we follow? We have much to share about the wisdom of this brave young woman. When do we celebrate? Why do we rejoice? Today we ask . . . what have we learned from Esther? Tomorrow, Mordecai’s dream . . . Esther is the river.